The first major US retrospective in nearly forty years of the sculptor, painter, and installation maven Ree Morton is upon us—praise be! When a car crash tragically cut her life short in 1977, Morton was forty and just hitting her stride. Riffing on the ascetic forms of her Minimalist peers, she incorporated markers of more quotidian affairs: The recurring dotted lines in her work bear a similarity to craft-project instructions. Then there are the flouncy, poetic, banner-like sculptures, one of which serves as the namesake of the exhibition: The Plant That Heals May Also Poison, 1974. 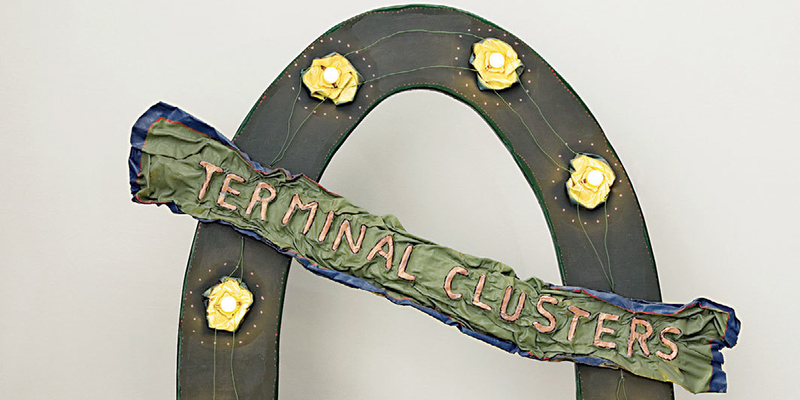 Given that this show features her large-scale installation Sister Perpetua’s Lie, commissioned and first displayed by the ICA in 1973, along with more than forty other works from her last decade, it’s hard to imagine a sweeter homecoming.